Fireworks in Fall. We’re Not Kidding! Stunning Kaleidacolor Cards – You’ll never believe fast these were! Cathy Andronicou shows you how to knock out multiple cards in one go. This stunning and time saving technique will have you creating wonderful holiday ready cards in no time! Share your ombre inspired holiday cards with us on Facebook and find more project inspiration at imaginecrafts.com! (Grocery) Shop Till You Drop! Cathy Andronicou shows you how to make this must-have DIY magnetic shopping list. A perfect housewarming gift or to keep on your own refrigerator. Learn more here! 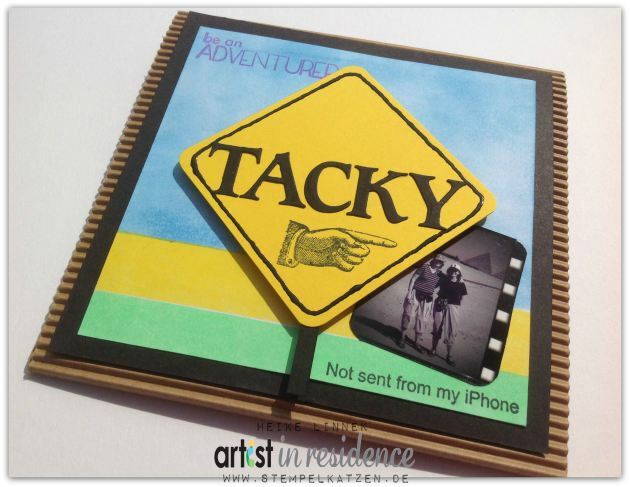 Cherish your travel memories and pay homage to the quintessential “tacky tourist” with these projects from our wonderfully talented Artist’s in Residence, Cathy Andronicou & Heike Linnek. Share your tacky tourist projects with us on Facebook or comment below!